In Part 2, my electric car dream had died. The only way I could become an EV driver at that time was to dedicate part of life to building an EV and managing batteries. At this stage of my life, early in a high tech career, I was not willing to do that. In late 2006, I was on a documentary watching kick and filled my Netflix queue with them. One particular weekend early in 2007, in the days before streaming, the familiar red envelop arrived with the DVD for Who Killed The Electric Car?*. 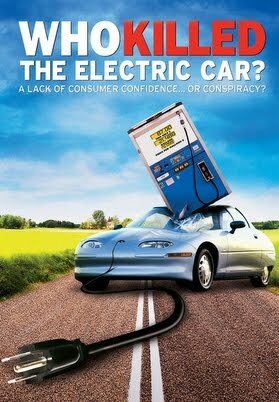 Watching this movie explained why the Saturn salesman laughed when we called in 1999 to try to buy an EV1. The suppression this technology made me angry, and it did something else; it re-awoke my electric car dream. I knew that it was very unlikely that I'd convert a car, my attempt from 2001 never got off the drawing board, so I'd have to buy one. I took to the internet. After some searching, I had four candidates: the Corbin Sparrow, the eBox, the T Zero, and the Zap Xebra. I went down the list trying to find details about each. The Sparrow and the eBox were expensive. The T Zero looked great, but they had only made a few prototypes and had no plans to produce the car. This left the Xebra. Luckily for me, there was a dealership in Salem, Oregon within an hour's drive from my house. 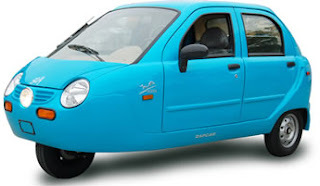 We made an appointment to see the quirky three-wheeler. The Xebra website said that it had a top speed of 40 MPH and a 40-mile range. The salesman was blunt and said that was not true. You could go 40 MPH OR you could go 40 miles, but you could not do both. I had a 20-mile commute and much of the drive was on a road marked at 45 MPH, but maybe I could take sideroads, it might work. I took it for a test drive and with two men in the car (the salesman and myself), it was sluggish. There was a hill on the test drive; while ascending it we nearly came to a complete stop even with the accelerator to the floor. We live on a big hill. This was a dealbreaker. The Xebra was not going to meet my needs. We tried to buy an EV in 1999 and were rebuffed. Now in 2007, it looked like once again I would not be able to find an EV within my budget that met my needs. I turned to the local EV club and lamented about my inability to find an EV. I said that I needed an EV that could go 45 MPH and have a 40-mile range at that speed. To my surprise, I received a reply from someone with an EV for sale that he said met my needs. I was skeptical, but I'll save that story for part 4. * If you own an electric car or are interested in EVs at all (and I assume you are if you are reading this) then I highly recommend that you watch Who Killed and its sequel Revenge of the Electric Car.